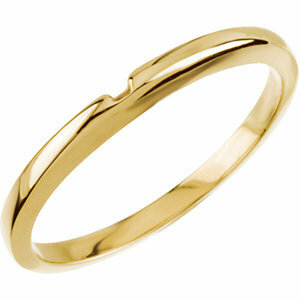 14kt yellow gold wedding band is designed to fit moissanite engagement ring solitaire style JJ63183. This wedding band will fit with solitaire rings for center carat sizes 1 ct to 3 1/2 ct. Width: 2.25mm. Standard fit.